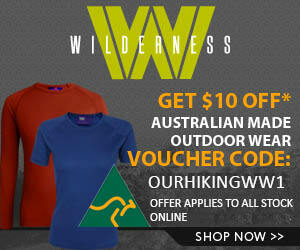 Hiking the Great Ocean Walk? What are the highlights and best bits to walk? What annoyed our guest poster Ivor? 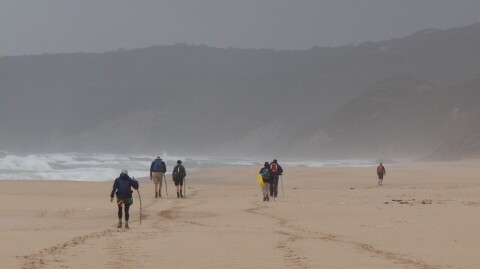 Have been chatting by email with Ivor who has recently completed the Great Ocean Walk in southern Victoria, Australia. He has made some excellent comments that we thought were relevant to anyone who is planning on undertaking this spectacular coastal walk. – We took 6 days and 5 nights, could have done it in 5 and 4 and we’re not that fit! I thought the walk was very good. I didn’t mind the walking on 4 wheel drive tracks too much. – I thought the worst bit was from Moonlight Head where you cut inland and then out again, which was more dirt road than 4 wheel drive track. I guess it’s because heaps of tracks in the Lake District and Scotland are the width of 4wd tracks. Actually means you can walk side by side and chat. Rather than looking at the person in front’s bum or vice versa! – Facilities were excellent. We were the only ones on the campsites apart from the first night. We put the tent up in the shelter at Cape Otway as it was chucking it down. – I HATED the fact that we couldn’t have a cup of coffee at the lighthouse apart from paying $13 to go in. My mate and I had both been before so didn’t want to pay but having walked the last 5k in pouring rain could have killed a coffee! I asked if it was possible for a coffee to be brought down and was told “What did your last slave die of?” Unaustralian or what?! 8/10/07 – received a very positive response from Paul at the lightstation re this issue. Click on comments to read Paul’s email. – The ending was a let down. Glenample was closed and there was no marker to say ‘THE END’. We walked up the road to the Twelve Apostles as I guess most do, but it was still an anti-climax. – We scored a shower at the caravan park in Port Campbell for $2 with soap and shampoo thrown in. – Signage was tops, reading some diaries on the web I can’t believe people got lost. Having said that one was inaccurate I think it was from a the last beach (began with an M) up to Ryan’s Den. It said 3.4km NO WAY was nearer 5 and uphill! – Tide tables were hit and miss. We spoke to a ranger in Port Campbell and he said that tides on that section of coast are a nightmare to predict tide times. – Generally we found the beach bits overly cautious, but I realise that tides would vary through the year. Usually there was heaps of space above HWM, I realise that Parks Victoria were probably being overly cautious, in fact the track notes seemed overly paranoid eg care about branches etc. Having said that we were dead casual approaching Wreck Beach and then had to run at times to avoid the waves. – Apparently the toilet at Cape Otway burnt down a couple of days after we passed through. It wasn’t us! Do you know anything? (ed. no have not heard this …has anyone else? Many thanks to Ivor for this report. It is great to be able to post another perspective on the GOW. If any of our other readers have walk reports you would like posted , please contact us and we will blog them for you. Thank you for the feedback on this Frank. I as the manager am very dissapointed by the response the walkers got by my staff. We pride ourselves on our PR and customer service and our visitor’s book is testament to that. The blog has come up with suggestions we have been planning for some time now, ie discounted tickets for registered walkers and tea and coffee facilities for those not wanting to visit the unique heritage grounds of the Lightstation. Therefore we move on to the suggestion of cheaper tickets for those registered walkers. We do feel we offer good value for money for the experience people gain from visiting the Cape Otway Lightstation and once again our visitor books and feedback verify this, and is something we are proud of. Our fee structure is such that Parks Victoria has some control over it and we need to be able to show that no one or no user group is advantaged or disadvantaged over another, thus if we provide discounted tickets for walkers, in fairness we might need to provide discounted tickets to cyclists or 4 wheel drive enthusiasts or caravan club members etc, etc. To conclude your blog brings up some great suggestions and ideas we are working on, some of which we hope to implement ASAP. As far as the response you got from our staff member I am very ashamed by it and would appreciate the time and date of your visit so I can discuss this with the relevant person and implement any further customer service training that may be required immediately. Kind regards, and thank-you for forwarding your comments to me. 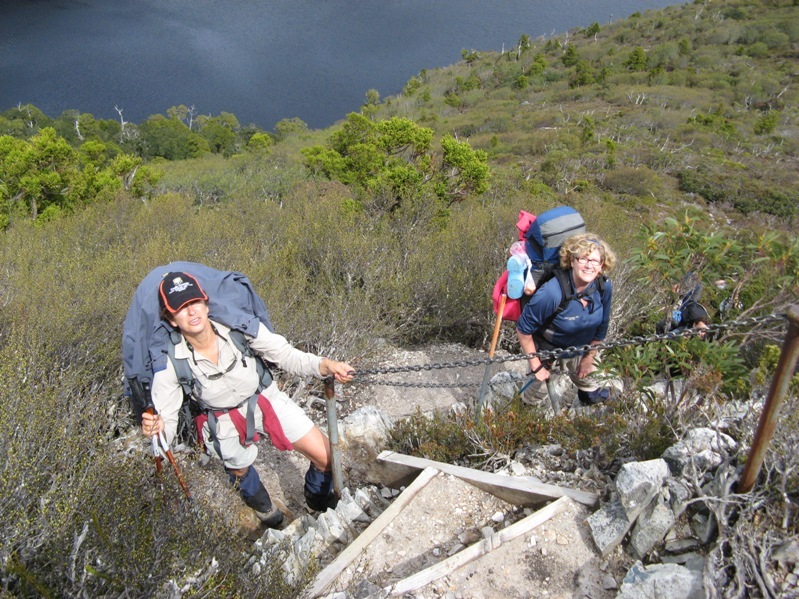 If you have any further suggestions as to how we can best service other bushwalkers I would be grateful as we are here to help and offer any assistance we can to make other walkers experience memorable for all the right reasons of visiting Australia’s most significant Lightstation and not disappointment. I do so love the coastal routes! Thanks for the comment. Yes it is a great area….fair way from home for you! Ever thinking of heading over this way, give us a yell by email.